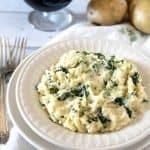 This Slow Cooker Colcannon potatoes recipe is the traditional Irish side dish of creamy buttery mashed potatoes with kale or cabbage cooked in a non-traditional way. The perfect accompaniment for a St. Patrick’s day feast. Loaded with cream and butter, so it’s rich and creamy and completely satisfying. 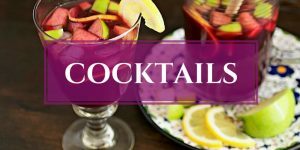 A hearty, stick to your ribs, good drinking base kind of dish to see you through the drinking holiday. Yukon Golds are creamy and ideal for mashing (plus they are my personal favorite) so it’s what I used in this recipe. I also like a mixture of cabbage and kale in my colcannon. I’ve seen it made with leeks, chives, and/or spring onions too so feel free to add any of those for extra flavor. Usually I cook Colcannon on the stove but this year, I adapted the recipe for the slow cooker. 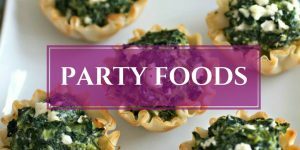 It’s the perfect cooking method for all of you who will be spending St. Patrick’s day at work…or even if you decide to use up a sick day “wink wink” and start at the pub a little early. 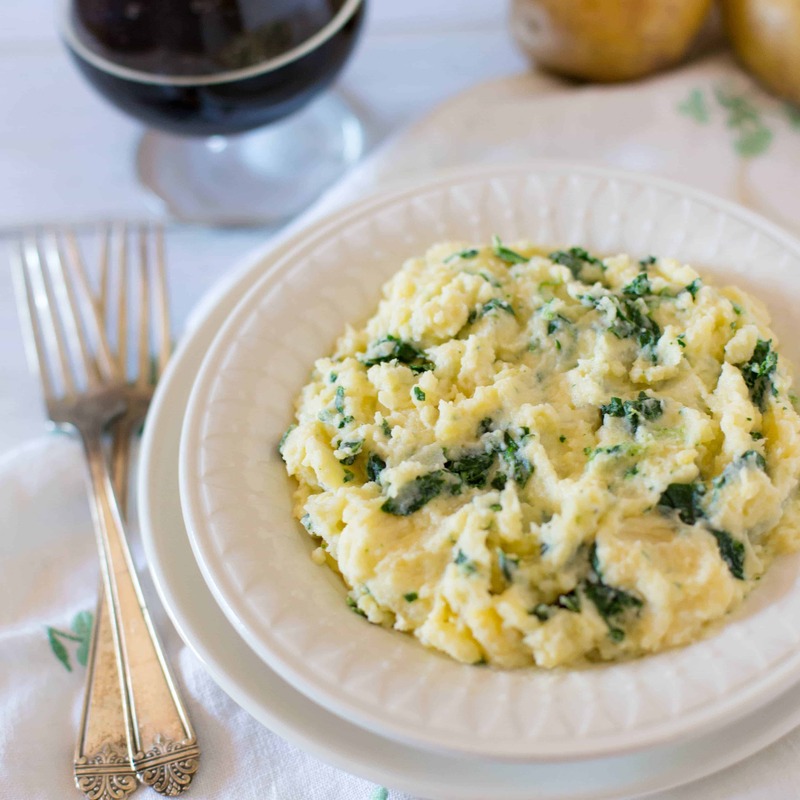 I usually make a double recipe of this colcannon, so I can have leftovers for a few days. It’s wonderful heated up in the microwave the next day for lunch (topped with a little cheddar cheese) or make some potato pancakes. 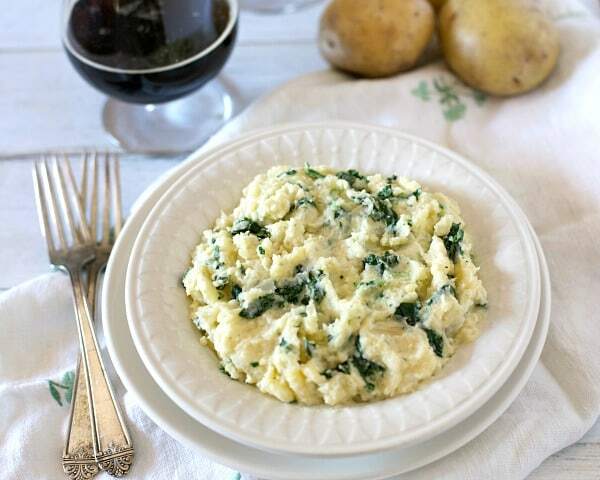 So celebrate the St Paddy’s Day holiday with this Slow Cooker Colcannon potatoes recipe. It’s one side dish that will make everyone feel happy and lucky! 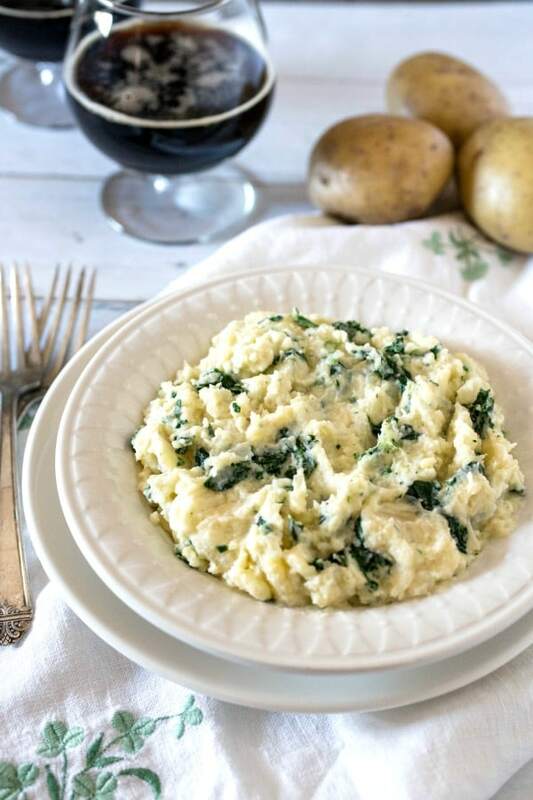 This Slow Cooker Colcannon potatoes recipe is the traditional Irish side dish of creamy buttery mashed potatoes with kale or cabbage cooked in a non-traditional way. The perfect accompaniment for a St. Patrick's day feast. Peel potatoes and cut into quarters (if using organic potatoes, can leave the skins on and just scrub well). 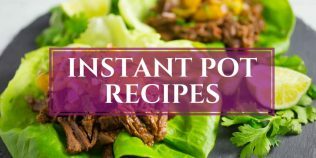 Place potatoes in the bottom of a slow cooker and cover with the chopped cabbage or kale. Add enough water to just cover the vegetables. Cover and cook on low for 7 hours, or until vegetables are tender. Reduce slow cooker to warm, remove the cooked vegetables and discard the liquid. Put the vegetables back in the slow cooker and lightly mash. Add the half and half and the butter and continue mashing until the mixture is creamy. Add salt and pepper to taste. Serve immediately or keep warm in slow cooker. I like to use different veggies for a mash, and this one sounds fantastic to me (I’ve never used cabbage in mash though). I’d like to have some of this with crumbled blue cheese. And have you tried additng cream cheese in mashed potatoes? 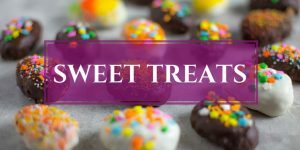 This makes a lighter but still rich and delicious version. Ah ha ha! I totally thought this was scrambled eggs, until I read what colcannon actually is!! Food trickery at its finest! I have always heard of Colcannon but was never sure what was in it!A superfood in mash?!?!? I am so in. I have never heard of traditional Irish side dish Colcannon. There is so much to learn. Love how beautifully you have combined creamy and slicky buttery mashed potatoes and leafy greens. This would indeed make a great accompaniment to St. Patrick’s day meal. Wonderful share, Karrie. Girl, you know I’ve never met a potato I didn’t like and these need to get in my belly! 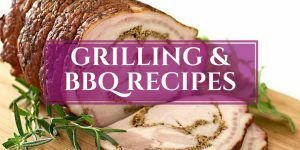 You are such a genius to make them in a slow cooker because then you can just come home, open a beer, and stuff your face! I absolutely need some of these and that pic with the melting butter is the money shot! Hooray for potatoes! Double hooray for potatoes cooked in the slow cooker! 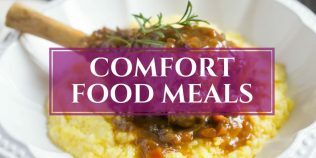 These looks super filling and like ultimate comfort food! I have never had colcannon before either but it sure sounds like something I should try!! Yummy, Karrie! 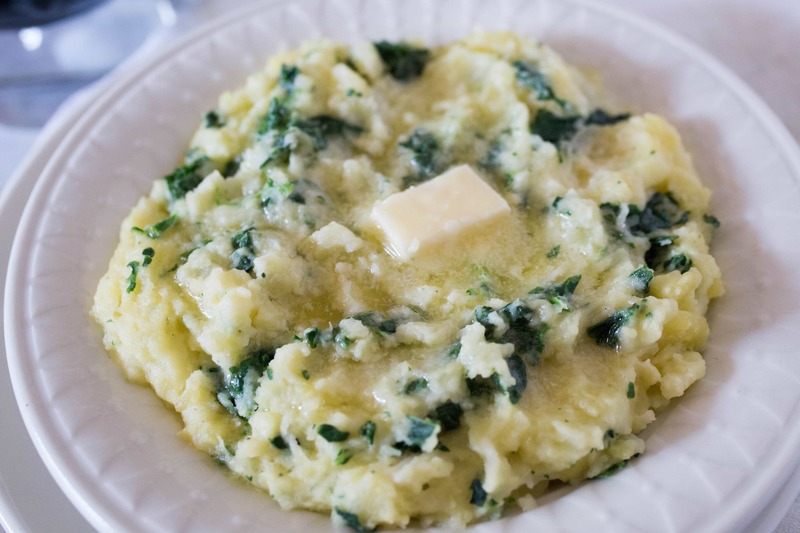 I’ve never had colcannon, but so love mashed potatoes, and with kale or cabbage, even more. Like the idea of using the slow cooker, easy breezy. And that pat of butter melting on top? Oh, my!! 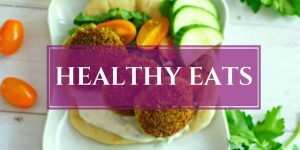 Quite tasty “substituted” with regular cole slaw , small yellow potatoes , and low-fat milk. Thanks Dianne and great idea on using a bag of cole slaw!